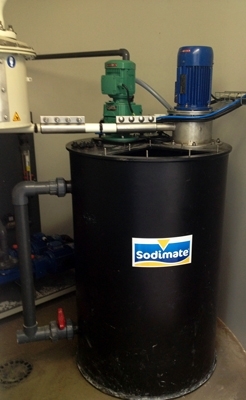 Sodimate supplies powdered activated carbon (PAC) feed systems to water treatment facilities for removal of organic chemicals to improve taste and odor. Known for its absorption and filtration capacity, PAC’s porous structure allows it to absorb contaminants to be removed from the process by sand filters or membranes. Pollutants treatment by PAC include pesticides, benzene, and volatile organic compounds, along with certain heavy metals and chlorine. In a typical PAC process the chemical is first mixed into a slurry before being conveyed and injected into the water stream. 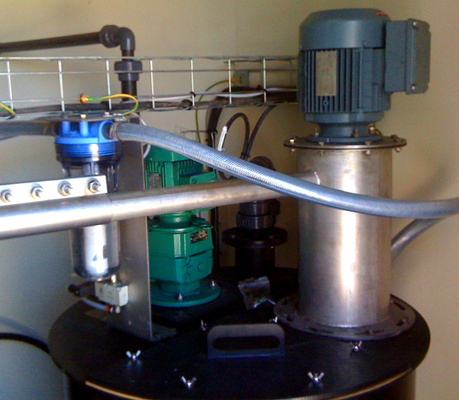 Sodimate supplies all system components required for this process, from the PAC storage container to the feeding unit and slurry tank. In addition, an optional pre-mixing high shear mixer, the Sodimix, is available to eliminate dust emission.